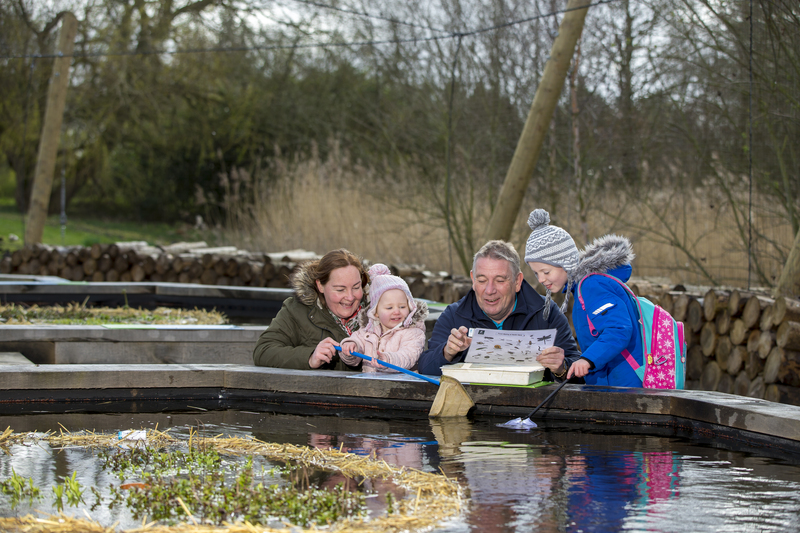 Visitors to WWT Martin Mere will now be able to get up close to lots of aquatic life as our brand new £250,000 Pond Zone opens to visitors from 6 April. The new attraction, generously supported by players of People’s Postcode Lottery through Postcode Animal Trust and other funders, is made up of four raised-dipping ponds and an existing natural pond. The raised dipping ponds have been built with insects in mind – they’re made out of more natural materials, are much larger than the old, concrete ponds on site and all have aquatic plants. Alongside the existing natural pond at ground level and a netted cover preventing birds from accessing the water, it’s hoped that the new ponds will encourage a wider range of insects and small amphibians such as newts and frogs. With latest research showing that over 40% of the world's insect species may become extinct in the next few decades, it’s more important than ever to try and protect existing insect species and encourage others to thrive. Here at Martin Mere, we’re hopeful that our new Pond Zone will do just that. As well as encouraging insects, the Pond Zone will be used to inspire the next generation of conservationists. A new timber classroom features a large teaching space for school visits, technical equipment to enhance the pond dipping experience, magnetic pond profiles on the walls for teaching and screens to project findings. Visitors to the centre during weekends and half term will also be able to get involved in pond dipping. All the equipment needed to uncover a world of incredible underwater life will be available; nets, trays, magnifying glasses, identity cards and our friendly Learning Team will be on hand to help. “Pond dipping is one of the favourite activities that families enjoy at Martin Mere. They get their net and delve into what is now artificial concrete ponds to see what creatures they can find – this new development will allow families to pond dip in a natural setting and it is going to be a great new attraction for us. For further information, visit our Pond Dipping page .